Suggestions to help you incorporate international books into everyday reader's advisory. If you like The Midwife's Apprentice by Karen Cushman, try Wanting Mor by Rukhsana Khan. Cushman, Karen. 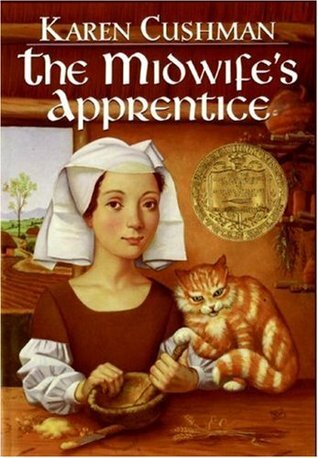 The Midwife's Apprentice. Clarion, 1995. Though one story takes place in the Middle Ages in England and the other in contemporary Afghanistan, both main characters' stories begin at an extremely low place -- one in a dung heap, one in rural village having just lost her mother. Both girls take extraordinary journeys on the way to making a place for them self and finding a home. Khan, Rukhsana. Wanting Mor. Groundwood, 2009. Fans of Shannon Hale's The Goose Girl might enjoy the beautiful prose of DeMari's The Last Dragon. It is also set in a wonderfully imagined fantasy world with creatures like elves and dragons and has a similar introspective atmosphere. Hale, Shannon. The Goose Girl. Bloomsbury, 2005. DeMari, Silvana. The Last Dragon. Trans. by Shaun Whiteside. Miramax/Hyperion, 2006. Lowry, Lois. Number the Stars. Houghton Miffllin, 1989. Do you wonder what life for Ellen Rosen, Annemarie's friend in Number the Stars might have been like once she reached Sweden? A Faraway Island chronicles the lives of the Steiner sisters, refugees from Vienna who are adjusting to life on an island near Gothenberg, Sweden. Thor, Annika. A Faraway Island. Trans. by Linda Schenck. Delacorte, 2009. Bredsdorff, Bodil. The Crow-Girl. Trans. by Faith Ingwersen. Farrar, Straus & Giroux, 2006. Crispin and the Crow-Girl share several common elements. Both books are set in unspecified period of the Middle Ages, in pre-industrial society. Both characters are alone and nameless, and in the course of their stories find their places in the world, friendship, and names for themselves along the way. The prose is spare and elegant, and for those who want to learn more, there are sequels to both. During the Spring of 2013 I presented a series of "Read Around the World" booktalks for 3rd graders. A great resource for developing booktalks is Sonja Cole's Booktalking around the World: Great Global Reads for ages 9-14. Libraries Unlimited, 2010. Examples of some of these talks can be found in video format on the website Bookwink.